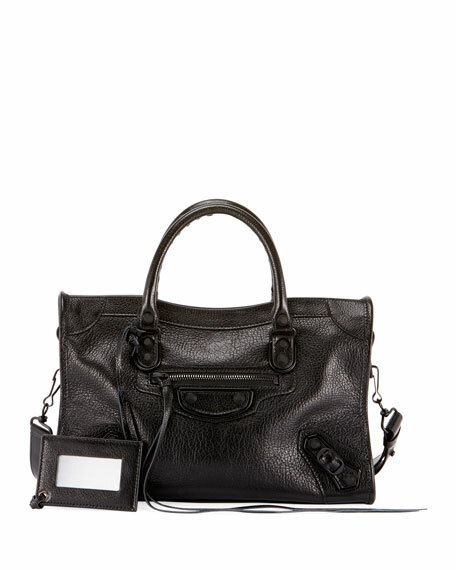 Balenciaga "Classic City" lambskin bag with nickel hardware, including stud and buckle detail. Exterior, front and back zip pockets. Cotton-lined interior; zip pocket and Balenciaga embossed leather tag. 10.2"H x 15.2"W x 5.9"D.